In 2010, Ellen MacArthur, the round-the-world sailor, after seeing the huge gyres of floating plastic in the Pacific ocean, founded the Ellen MacArthur Foundation (EMF). Its task was to encourage the world to change from a throw-away society to a circular economy, where the waste materials in discarded consumer durables becomes the feedstock for new products. The circular economy mimics that of nature, where new growth comes from old in an ever-sustaining cycle (Figure 1). In nature’s cycle, there is no waste. No landfill sites are required, no material builds up in increasing piles. 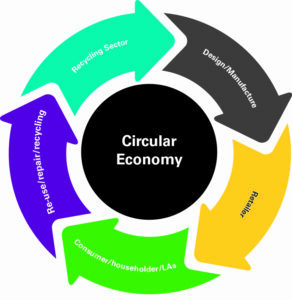 The aim for a circular economy seems therefore to make a lot of sense. 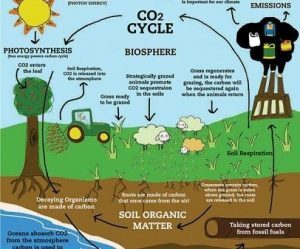 In the natural world there is a huge army of unpaid recyclers who do the recycling job for us, namely bacteria, fungi, mico-organisms, worms, sow bugs and so on. These compost organic wastes, dead leaves, wood, etc into nutrients suitable for use by plants, trees, animals and humans. In contrast, the recycling process for manmade objects is carried out in the UK by relatively highly paid humans, aided by machinery. The labour cost is often higher than the value of the materials that we want to recycle. In considering what to do with a broken hair drier for example, we consider its worth in plastics and metals, then dump it in the bin as being “not worth recycling”. The device may well end up in landfill or burnt. If the former, this is a waste, which we are trying to avoid. If burnt, some beneficial energy recovery occurs for generating electricity and hot water and the steel fraction may be removed from the ash using magnets. This retrieves some value but a significant amount is lost. 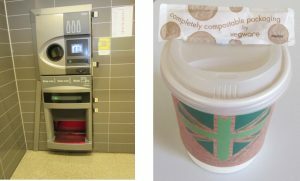 The circular economy movement is determined to maximise the reuse of these wastes and minimise both landfill and litter. With products like motor cars, white goods and aluminium cans, where there is clear value in the materials salvaged, manufacture for ease of dismantling should be paramount. For low value materials like plastic, either they should have a deposit on them to give them sufficient value to be worth collecting or made biodegradable to avoid the high cost of reprocessing or disposal. Getting industry to change to a “reuse, repair, recover” philosophy has been largely unsuccessful to date. 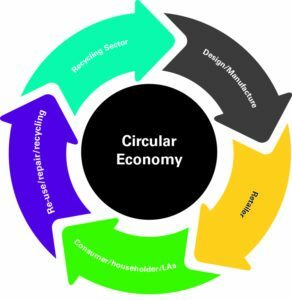 A new British Standard, BS 8001:2017, Circular Economy may help, though is seems to be somewhat light in recommendations. In the past manufacturers have designed products, like cars, to have a relatively short life. This keeps the selling price down while keeping sales up. Hand power tools are made with special screws, designed to prevent repair. While in the long term it may make economic sense to retrieve the copper, gold, coltan, lithium, etc from discarded products, this seems to be some way off becoming mainstream. Government may have to step in with directives requiring manufacturers to act. The WEEE directive (2012/19/EU) requires that 20 kg of WEEE equipment per capita is collected each year. Shops and retailers selling electrical equipment are required either to take back the appliance that the one being sold is replacing (e.g. printer, computer, etc), or they may pay a levy to a Designated Collection Facility (DCF) to take the item. For small pieces of equipment, the former is preferable as the DCF may involve travelling some distance. 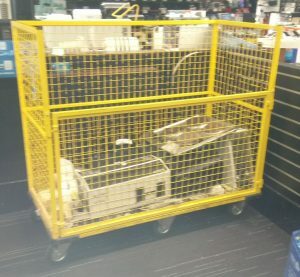 Currys / PC World is one company which takes back equipment themselves. In practice the company does not advertise this widely. I believe their concern is that they do not want their store to look like a scarp yard. The stores sparkle with shiny devices and attractively presented cardboard boxes. 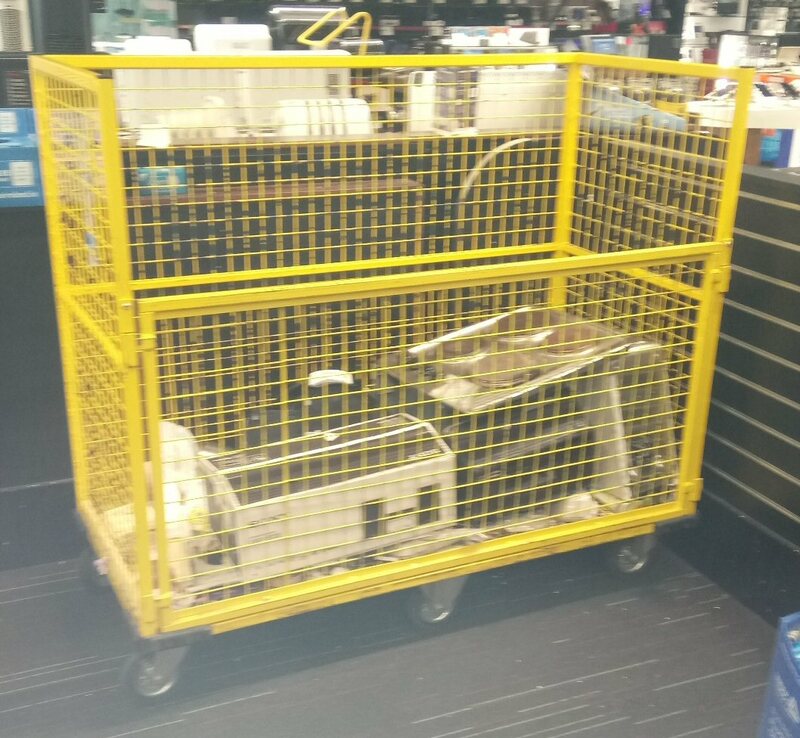 They feel that having skips full of junked equipment at the front of the store would do nothing for their image. The danger with this approach is that much small electronic equipment is thrown into householders residual waste bins, destined for landfill. One way of retrieving materials from items (e.g. hair driers) at the end of their lives is for shops or suppliers to be forced to give a discount if the old item is handed in. This would require government and EU action. The traditional plastic reprocessing process includes 1) collection from homes, 2) travel to a materials reclamation facility (MRF), 3) separation in the MRF, 4) baling, 5) travel to a plastic processing facility, 6) storage, 7) separation into different polymers, 8) removal of contaminants, 9) shredding, 10) washing of shredded plastic, 11) drying of wet shred, 12) storage of dry shredded flake, 13) melting of flakes, 14) filtration and extrusion of plastic into pellets, 15) cooling and bagging of pellets and finally 16) transport to plastic manufacturer. This process is expensive in labour and energy and should only be practiced if financially justified. The alternative is to make plastic films and packaging biodegradable, so that they can be discarded along with the council’s food collection system. Micro organisms then do the job of recycling at little cost to us. If biodegradable plastic bags are dropped as litter, they will decay in the same way as paper bags. Sending plastic waste in containers to China, where labour is cheap, worked for the last 15-20 years. This practice is now being halted by China as the material being sent has often been contaminated with unrecyclable material; in addition, China now has enough waste plastics of their own to recycle. The UK is now at a cross roads. Do we set up our own reprocessing systems or try to find other low labour cost countries to take over from China? Two solutions are available. One is to put a worth on low value materials, by requiring them to have a deposit on them. For items like bottles this would be a 10-25 p deposit. The other approach is to make the material biodegradable. Finding other low-cost labour countries to process our rubbish should be off the agenda.